Scandalous Women: Happy Release Day! Today is the release day for Scandalous Women, and I'm tremendously excited. It's been a year and a half since I sold the book in August 2009, and it's been a long journey from blog to book. Seven months of writing, and three months of revisions to produce the finished book. But at long last it's here and in a bookstore near you! And I'm very happy to announce that the book has been chosen as RT Book Reviews Non-Fiction pick of the month in the April issue. I'm working on trying to scan the article into my computer but until then the issue is at your local Barnes and Noble or Borders Bookstore. 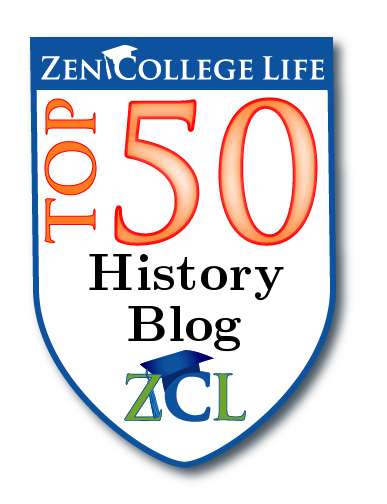 I'm also pretty chuffed that the blog was also chosen as one of the Top 50 History Blogs by Zen College Life. The book has also gotten rave reviews from BookPage as well as The Trades. Please check out the News and Reviews page to read them. In honor of the release, I'm giving away an autographed copy of Scandalous Women to one lucky winner. Here are the rules for the giveaway. Sorry, this is only for Canadian and American readers! The contest runs from today through Monday, March 7th. Congratulations! I have had this book on my Wishlist for the longest time! I can't wait to get my hands on it! I love this kind of non-fiction book, with lots of different tidbits of interesting information. Congratulations on the release, and thanks for the giveaway. I've followed your blog for quite some time. Congratulations on the release! It's also a special day for me today, because I am officially 30. I've enjoyed reading up on your blog posts & can't wait to read the book! Hope your book sells well. Felicitations Elizabeth and well done indeed. I love the cover, by the way. Sign me up for the contest and I'm off to Tweet the news. I predict a bestseller! I would love to have a copy for my holiday reading from 15 April... you know where to find me! Yay! I'm a follower- thanks for the giveaway! Congratulations on the release! I look forward to reading the book, as I do your blog daily. Congratulations, I'm so excited for you. Been following and I can't wait to get my hands on this book. congrats, congrats -- how exciting! thank you for the giveaway! I'm a follower and I tweeted. Congrats on the release! As a feminist I love reading about women in history. This is my first post though I have been following your blog for some time. I too am a native New Yorker and an ardent Anglophile. Congratulations on the book. Loved the piece you did on Bessie Smith. Happy Release Day! I'm new to the blog, I loved your pieces on Margaret and Mary Tudor, Marie Antoinette and so many others! I can't wait to read the book! Best wishes for the book! I would love to win a copy. Happy Release Day!! I love your article on Wallis Simpson!!! 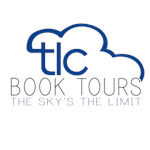 Would love to read your new book. 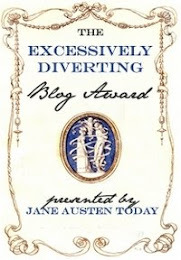 I truly enjoy your blog and have shared it with others. WTG I'm 71 and a lifelong reader of historical fiction. I've learned so much from following your blog. Keep it coming.